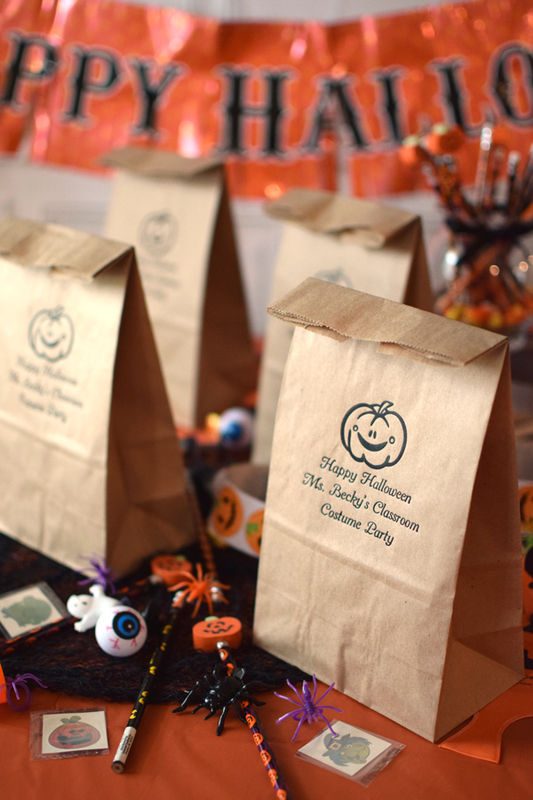 These personalized paper lunch bags are ideal for school Halloween classroom parties, making great grab bags from the teacher or parents, and are the perfect size for packaging larger party food. Measuring 6 inches wide x 11 inches tall x 3 inches deep, they are the same size as a standard paper lunch bag. Personalize your bags with a spooky Halloween design and custom message. Choose from 4 bag color options and a large variety of print colors to match your party theme. Contents not included.